Where to Eat Archives | Planning A Walt Disney World Trip? Planning A Walt Disney World Trip? Disney dining can be just about any kind of experience you want it to be. They have restaurants that cater to just about every single taste you can dream up. From the exotic, to the home grown steak-and-potato’s kind of person, to the health nut, you can find a restaurant to suit your taste buds with very little difficulty at all. 😉 Kid Friendly Casey’s Corner, specializing in hot dogs; Pinocchio’s Village Haus, specializing in fast food; The Crystal Palace which specializes in buffet style character dining with Pooh, Piglet, Tigger, and Eeyore; and Cinderella’s Royal Table, which offer pre-plated, all you can eat fare, and time with Cinderella, Snow White, and others. Liberty Tree Tavern is also a good one for family meals with kid friendly options. 😯 Adult Friendly Tony’s Town Square, specializing in Italian food. Columbian Harbour House, specializing in seafood and vegetarian chili and Tomorrowland Terrace Noodle Station, specializing in Asian cuisine, which is only open seasonally. Snacks- ToonTown Farmer’s Market, Auntie Gravities Galactic Goodies, Sleepy Hollow, and Enchanted Grove. All offer a variety of snacks ranging from fruit and smoothies to caramel corn and espresso. 😉 Kid Friendly Flame Tree BBQ offers outdoor seating and is a great place to relax for a moment with the kiddies. Tusker House is also great, offering a character breakfast buffet in the A.M. and a regular buffet during lunch and dinner. 😯 Adult Friendly Rainforest Cafe offers excellent cuisine and a full bar after a long day of touring the grounds. Hit the Dawa bar for evening cocktails. Snacks- For snacks, stop by Dino Bite Snacks, or if you fancy some ice cream, try out Tamu Tamu. You can also try Petrifries if you have a hankering for french fries! 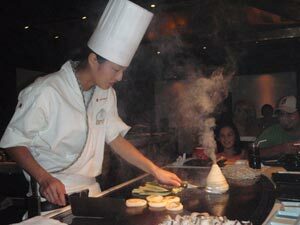 😉 Kid Friendly Teppan Edo is a great Japanese Hibachi style restaurant sure to delight your children. The chefs cook right at your table and put on a great little show for the family. The Garden Grill has a great kid friendly menu and offers Character meals as well, with Farmer Mickey and Chip and Dale. The Coral Reef is a great option to help you unwind over a relaxing meal. 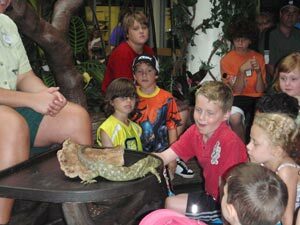 It features floor to ceiling aquariums that keep children engaged. If none of those suit, Epcot is wide and varied; there are several more kid friendly restaurants. 😯 Adult Friendly Visit San Angel Inn for a dark and romantic evening dining experience. Check out Restaurant Marrakesh for a meal and belly dancing entertainment. If that doesn’t suit, try Biergarten for a full dining experience with musical entertainment. Again, Epcot is so widely varied, it has several restaurants to choose from – you are bound to find at least one that strikes your fancy! Snacks- Drop by Lotus Blossom Cafe to snack on some delicious eggrolls. Or try Baulangerie Pattiserie for excellent pastries. If you are just looking for a quick, but decent meal, drop by Electric Umbrella for your run of the mill burgers, chicken and related foods. 😉 Kid Friendly The two best places to dine in Hollywood for the kiddies are the 50’s Prime Time Cafe, and the Sci-Fi Dine In Dinner, which is great if your kids are into old Sci-Fi movie clips and enjoy dining at a table shaped like an old vintage car. The 50’s Prime Time Cafe offers a unique experience where the wait staff play ‘brother’ and ‘sister’ to diners while ‘mom’ cooks in the kitchen. Kids get a kick out of it because mom and dad get chastised in a funny and fairly frequent manner for various infractions. Snacks- Snacks abound in Hollywood. Try Hollywood Scoops for some hand dipped ice cream, or try Toluca Legs for turkey legs and hot dogs. Min and Bill’s Dockside Diner offers stuffed pretzels and milkshakes or you can try the ABC Commissary for a multi-ethnic blend of options. Again, all of these are just some ideas of places to dine within each park, there are several other restaurants with great cuisine both inside the parks and outside, as well in the surrounding areas. Check out Walt Disney World Dining for in-depth information and sample menus.